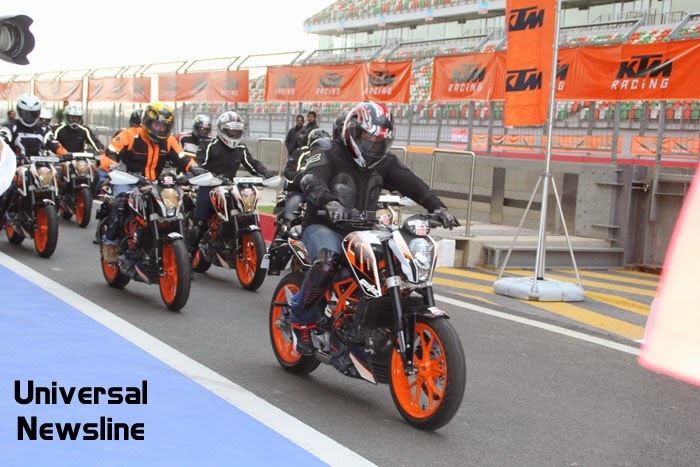 KTM conducted its first ever Track Day for its customers of the 390 Duke at the Buddh International Circuit. The event comprised of a mix of classroom training and practical sessions on the race track. KTM customers were guided by experienced and race winning riders and were also provided with timing equipment to gauge their progress over the day. More than 100 KTM customers attended the event with riders coming across from Delhi and Noida. The KTM 390 Duke launched last year has been proving to be a favorite amongst sports bikers of the country with its unique offering of power, weight and premium features such as Trellis Frame, Metzeler tyres which make the bike an able track tool.